On Friday and Saturday I had the opportunity to attend the 5th Annual Food Matters Conference at the University of Alberta Hospital. There were so many amazing topics and speakers but I can honestly say that one particular session completely changed my life. I’m not quite sure how I have made it 27 years without hearing about this incredible approach but, I am going to do my best to share it with everyone I know. 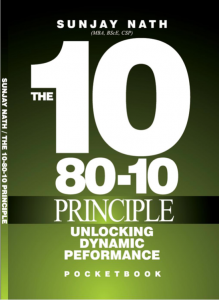 The best part of the 10-80-10 Principle is that you can apply it to so many different facets of life. You can apply it to organizations, groups, and your own individuals behaviors. The basis of the approach teaches people to stop putting all their efforts into fixing bottom 10 behaviors, but rather empower and grow their top 10 behaviors. This way – the majority 80 behaviors that are more easily influenced will shift towards the top 10 rather than the bottom 10. Here is a really great example related to healthy eating and physical activity that really resonated with me. Sunjay told us that at one point in his life he was overweight. He realized that he was not making the best decisions he could for his health and wellness and he wanted to address it. He then spent some time thinking about his behaviors and categorizing them into top 10 and bottom 10. He felt that one of his top 10 behaviors was taking 2-3 20 minute walks per week with his wife. This was something that was positively influencing his health and wellness. When it came to his bottom 10 behaviors he felt that the fact that he ate at McDonald’s multiple times per week was a contributor to being overweight. Simple, right? Once you’ve identified your top 10 and bottom 10 behaviors you then have to neutralize the bottom ten and empower the top 10. For him, this meant making a clear cut rule about eating at McDonald’s. From now on – he would only eat there once per week. This was something he was comfortable with and could comply with. He could now put the minimum amount of time, energy, attention and thought into that behavior so that he was no longer concerned with it and it no longer pulled him from his desired result. Next, he empowered his top 10. He found ways to grow the behavior of walking with his wife by spending more time, energy, attention thought and resources on it. This would look different for everyone, but for him this was going for longer and more frequent walks. When he got to a point where he was walking 30 minutes per day, he decided that he would increase the intensity by running for as long as he could and then walking the remaining time. Eventually, Sunjay complete a marathon. Because of his increase in physical activity he found other behaviors were shifting in his life. When he would come back from a walk or a run he found that he was thirsty and craving water. In the past, when he felt thirsty he would gravitate towards soda. Now, he was choosing water more often. Also, he found his food cravings change. He craved an orange. He had never craved an orange before in his life. The majority 80 behaviors were following suit of the top 10. Over time your behaviors shift in a positive direction that is closer and closer to your goal. As a Dietitian, I often find myself trying to isolate negative behaviors and teaching individuals how to change those. But now, I see the value instead in focusing on the positive behaviors and empowering them to grow. I encourage you to visit Sunjay’s website and learn more about his approach. And, if you ever get the chance to see him speak – I would run (not walk) to hear what he has to say! 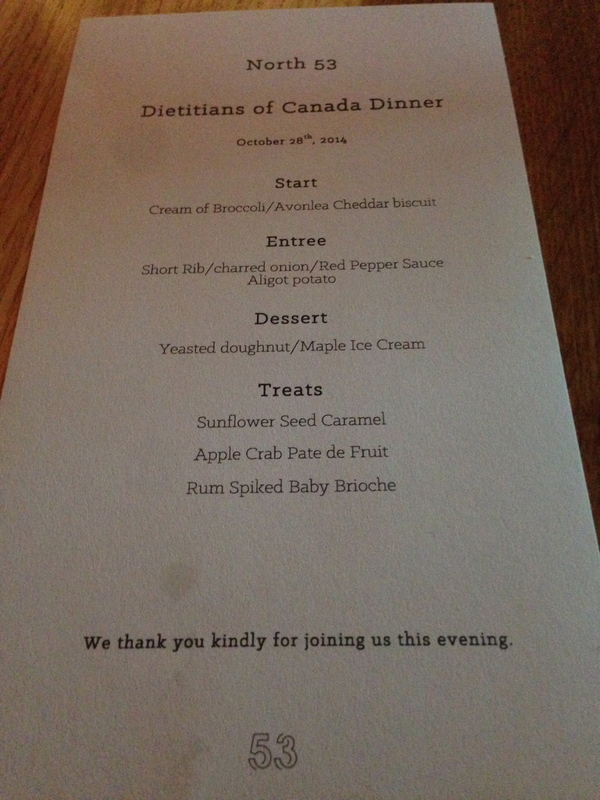 Two weeks ago I had the opportunity to attend a Dietitians of Canada continuing education event at North 53. I have been meaning to check out this spot for months, with an extra push since making the top 10 list in Enroute Magazine’s – Canada’s Best New Restaurants 2014. 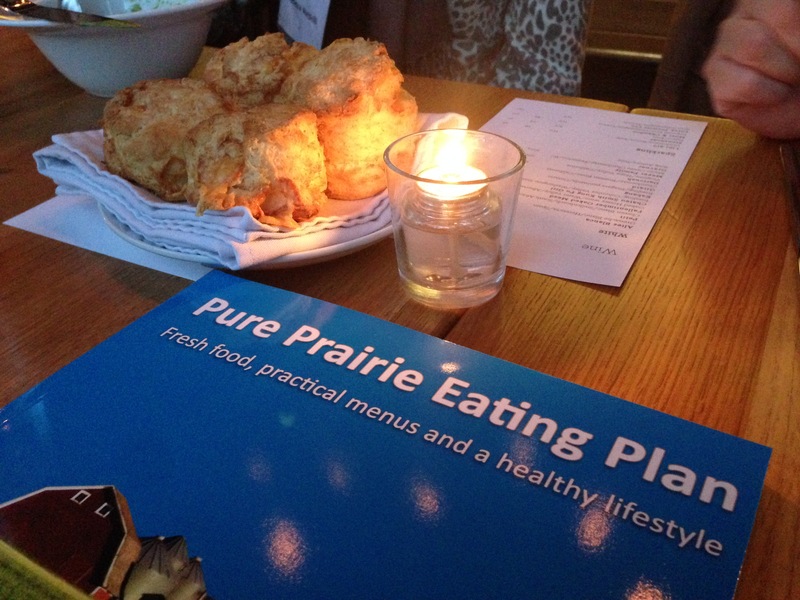 After receiving an email from a colleague about the Pure Prairie Eating Plan hosted at North 53 I couldn’t turn down the opportunity to check out a new restaurant, network with other dietitians, and learn more about the work that Dr. Chan and Dr. Bell have been doing on translating the recommendations from Canada’s Food Guide and applying them to whole foods that are commonly grown and consumed in the prairie provinces. When I arrived the room was set up as one long communal table, which worked really well for meeting others who were attending the event. I was eager to find out what we would be eating that night (as it was a five course meal!!) and I was happy to see a menu printed for each guest that outlined the evening. The first course was cream of broccoli soup and Avonlea cheddar biscuits. The second course was sous vide short ribs with charred onion, red pepper sauce, and aligot potato. 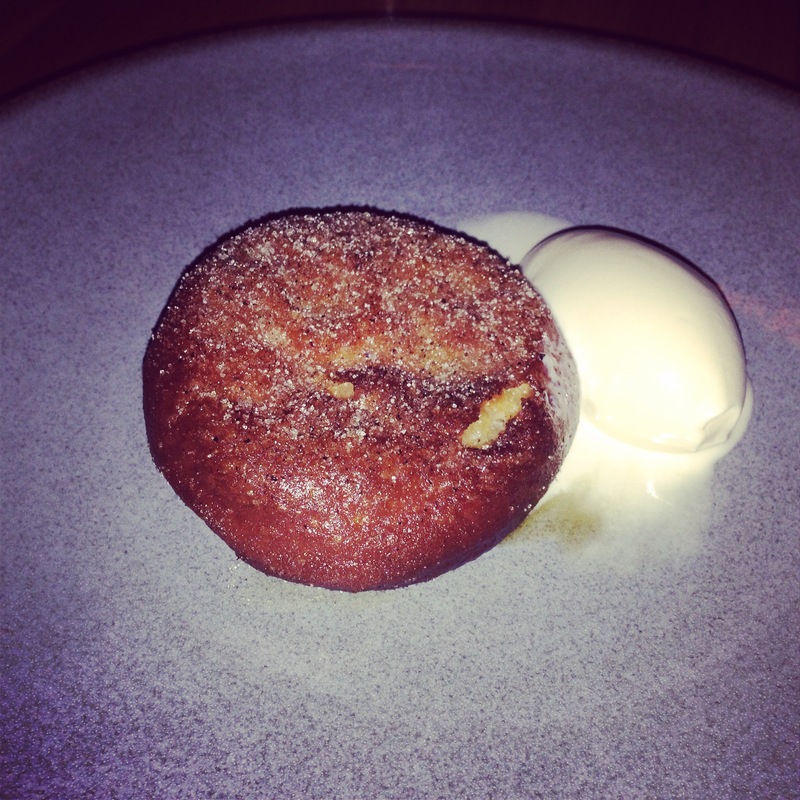 The third course was a homemade yeasted doughnut with maple ice cream. 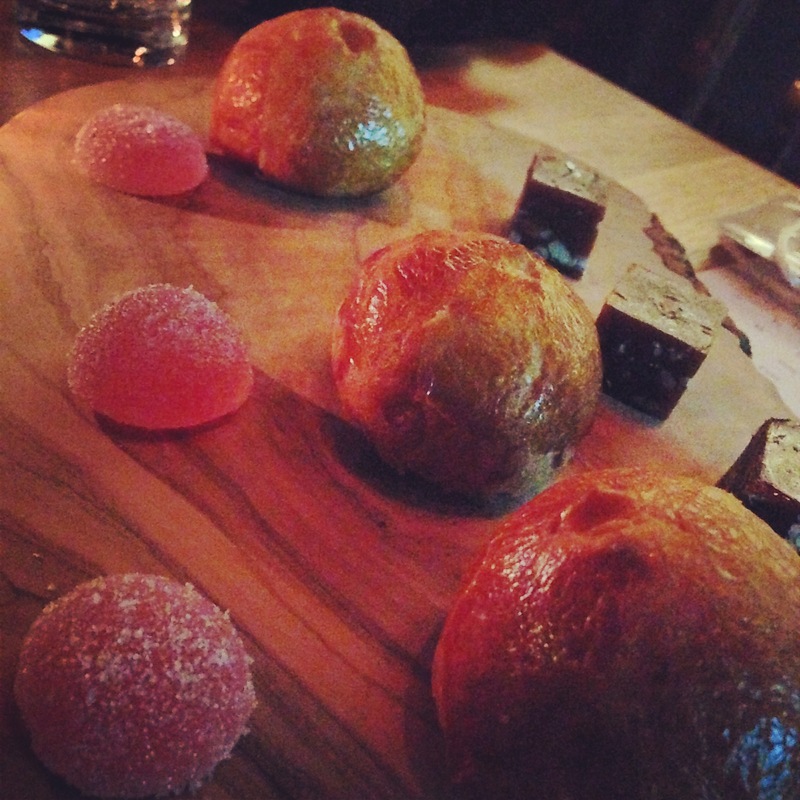 The fourth course was sunflower seed caramel, apple crab pate de fruit, and rum spiked baby brioche. WOW. They definitely did not feel the need to lighten things up for the room full of dietitians. I’m all for indulging once in a while but this was over the top! The broccoli soup tasted as if the broccoli had been charred prior to being incorporated into the soup creating an extremely smoky flavour. The soup was served with the biscuits, which were baked fresh and brought directly to the table. When you broke apart that biscuit all you could see was melty delicious cheese. I don’t think I’ve ever had a biscuit that felt like it was half flour and half cheese before, but it was unbelievable. I love cheese. Needless to say, I could have probably stopped eating after the first course and been satisfied for the rest of the evening. Next up was the short ribs. Does a charred onion count as a vegetable with dinner? Maybe the broccoli pureed with cream was the vegetable..whatever, I’m over it. The meat was tasty and not overly fatty (which I was kind of expecting with short ribs) and served with the most decadent mashed potatoes ever. I’m guessing they were 30% butter, 30% cheese, and 30 % potato. This place must have a HUGE dairy budget. I don’t think I had any red pepper sauce on my place like it said in the menu but maybe it was just a glaze on the short ribs? After a bit of a break the doughnuts came out. They were freshly fried, coated in sugar and paired with maple ice cream. At this point I was surprised that I was even considering eating one more bit. But fresh doughnuts? Come on. You can’t pass that up. I’m a sucker for ice cream and this one was no exception. It was SUPER creamy. I wonder if they make it in house or get it from a local supplier like Pinocchio’s? Either way it was delicious. The doughnut on the other hand didn’t really float my boat. They were quite hard on the outside, hard to cut through, and less fluffy than I was expecting from a yeast doughnut. Don’t get me wrong, I couldn’t do a better job myself but at this point it just wasn’t worth the calories, so I only ate a few bites. Dessert number two! They servers brought out beautiful wood platters full of treats. At this point I snuck away to the washroom and asked for a to-go box on my way out. There was no way I could fit those little sugar bombs in my tummy. I ended up offering them up to my fiancé when I got home but boy did they look great! 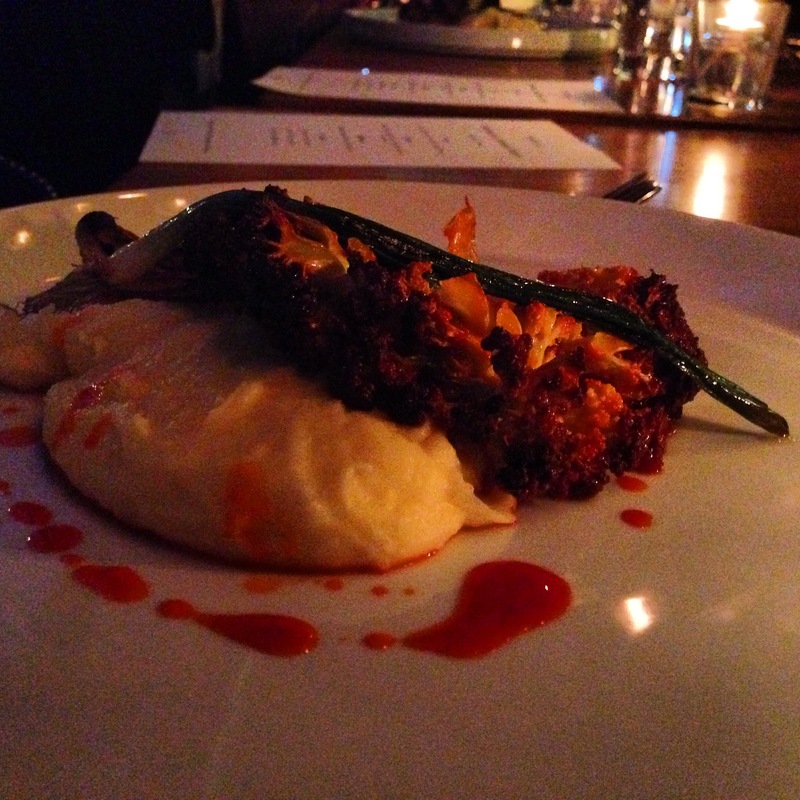 I had an awesome time at North 53 and I would definitely go back to try out their regular menu. I also saw that they had a second grand opening with a new menu and new chef! 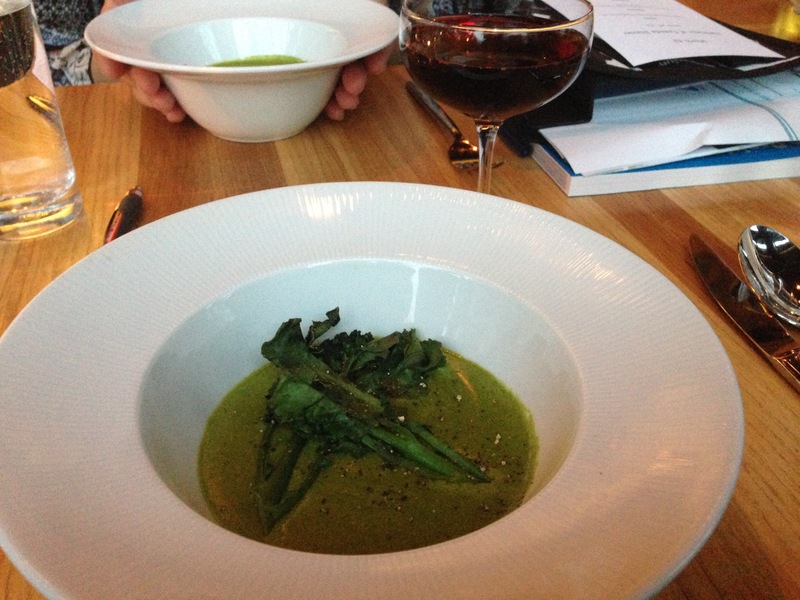 It’s great to see the strong focus on local ingredients and creative flavours! As some of you may know Karmel and I have recently embarked on a business venture. With little to no business expertise and a recipe for Cookie Dough Hummus we decided that we were more than capable of running a business after watching Shark Tank on a Saturday afternoon. Who wouldn’t buy a delicious and nutritious treat from two Registered Dietitians, right? And so Chickie Dough was born. Chickie Dough is chickpea based dip that rivals the comfort and flavor of your favorite cookie dough but with the impressive nutritional value of hummus. Being high in fibre and protein, as well as, low in fat and sugar makes this an ideal alternative to typical dessert dips that are laden with butter, cream cheese, and sugar. There are three flavors – Chocolate Chip, Peanut, and Trail Mix – with a feature flavor each week such as Monster Cookie and Chocolate Mini Egg. 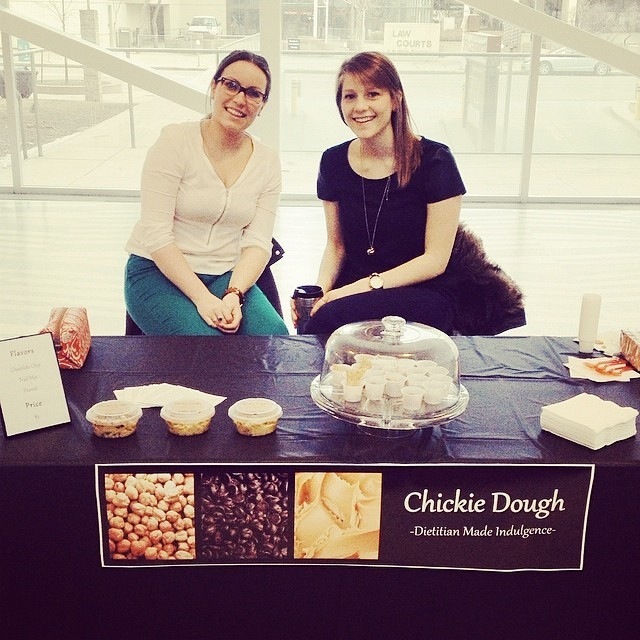 Chickie Dough is great for dipping with graham crackers, fresh or dried fruit, and pretzels. You can find us at the City Market Downtown inside City Hall for the next two weeks and then we will be moving outdoors at the 104 Street Market as of the May long weekend. Hope to see everyone out supporting local food in Edmonton!